These ultra-wide angle eyepieces played a critical role in the military for aiming at targets, and their long eye-relief counterparts helped reduce eye injury from recoil. 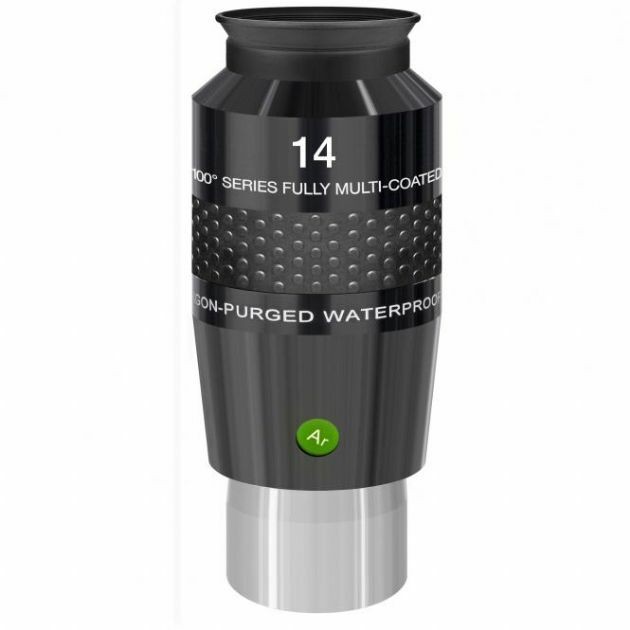 Each 100° Series Argon-Purged Waterproof eyepiece is internally sealed and purged with inert, dry argon gas to prevent internal fogging, to halt the intrusion of fine particulates and fungus. This also maximizes the life of the internal coatings. To make sure, every 100° eyepiece is tested by submerging them down to 1 meter of water for 30 minutes. All 100° Series eyepieces are fully multi-coated and edge-blackened to produce maximum contrast.